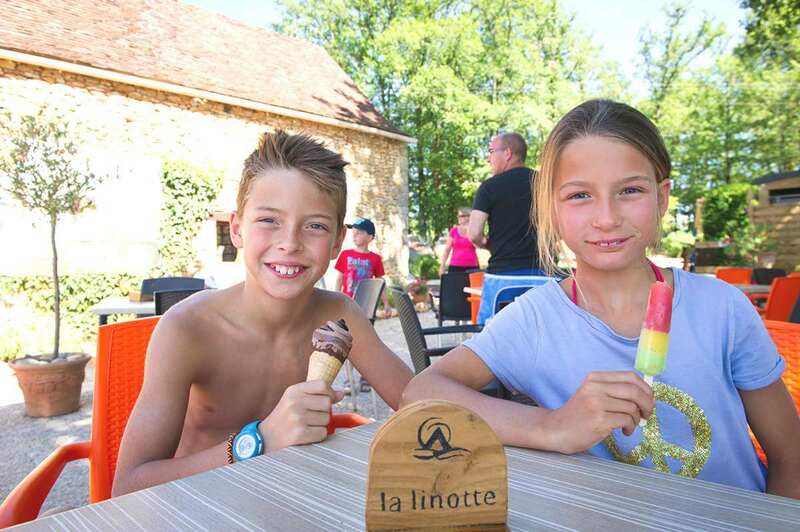 Welcome to La Linotte, your 4-star campsite in the heart of the Périgord Noir! Discover the most beautiful sites in the Dordogne from a green location or a charming rental in Le Bugue, a riverside village opening onto the Vézère valley. 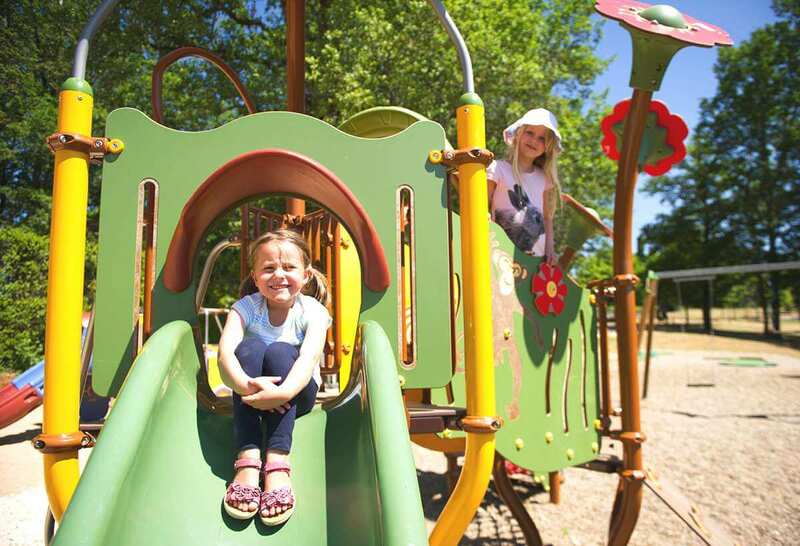 In an exceptional natural setting in the heart of a wooded estate, the 4-star La Linotte campsite offers you a quiet stay on spacious pitches or in comfortable rental accommodation. 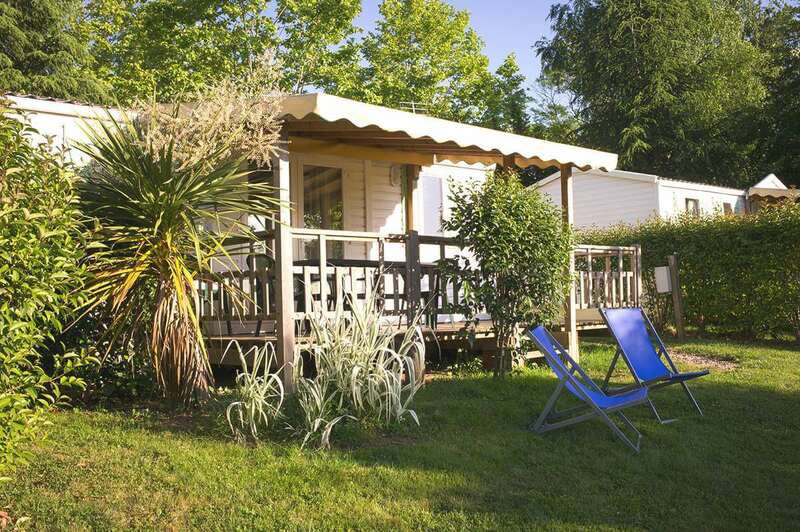 Recent mobile homes, unusual accommodations and prestigious chalets await you on our pleasantly landscaped and flowered site. On a daily basis, you can enjoy a heated water park, miniature golf, sports fields, a fitness trail with outdoor fitness equipment and children’s games for your family vacation. 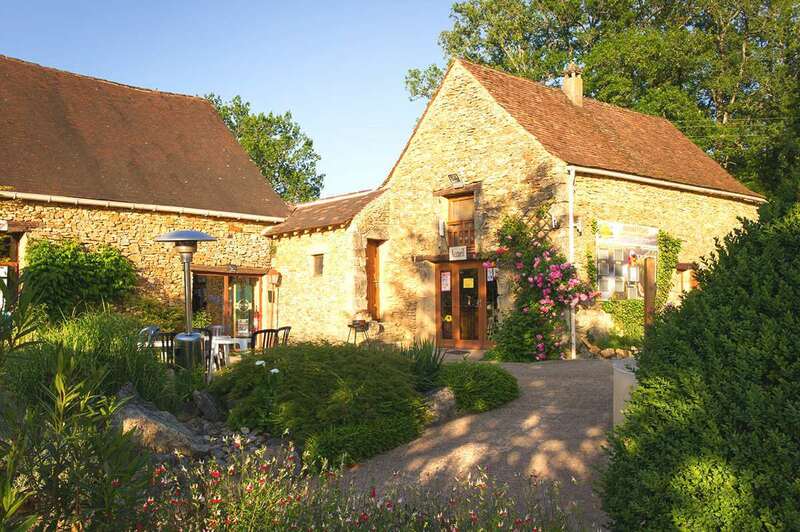 Many services are available to guarantee you a serene and relaxing holiday in the Périgord Noir: 7 days a week reception, laundry, bar-restaurant, snack bar, grocery store, or even a children’s club in season. A stone’s throw from Sarlat and the great prehistoric sites of the Vézère valley, you will also enjoy activities that invite you to share moments of great conviviality. 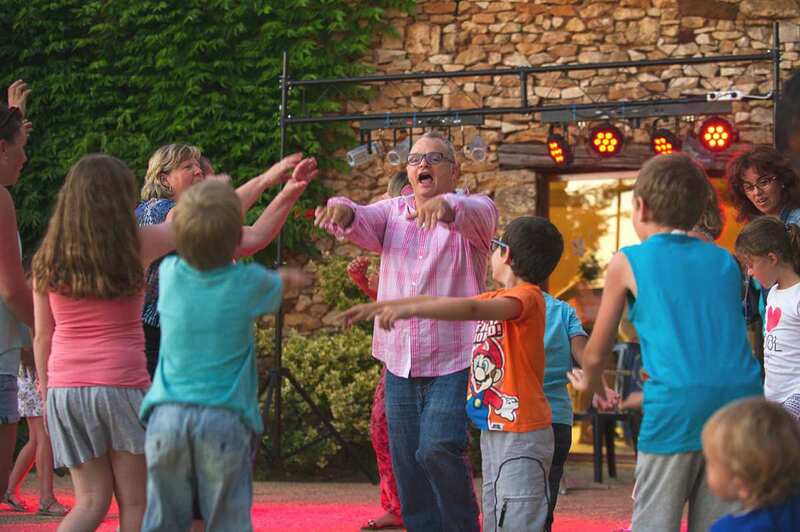 Discover our family campsite with entertainment and children’s club in the High Season! Do you want accommodation that is out of the ordinary, a rather classic mobile home at a low price, or a large chalet with luxury amenities? 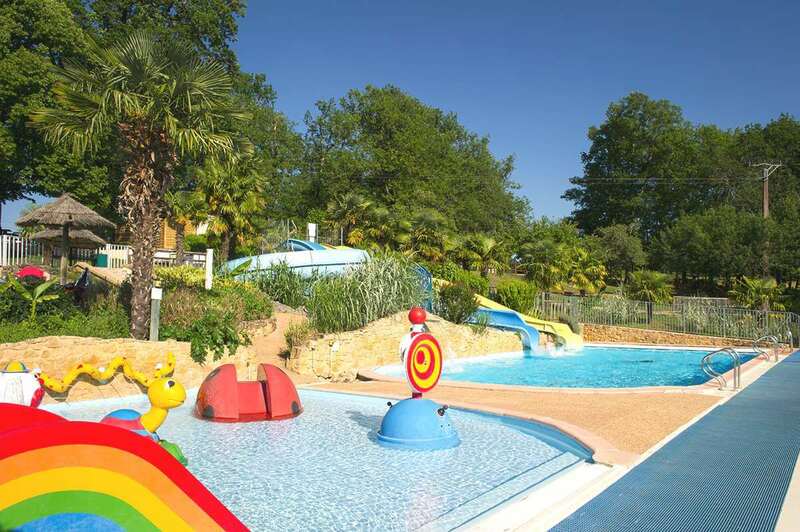 The 4-star La Linotte campsite near Sarlat offers you a wide choice of comfortable and recent rentals, located on beautiful private grassy and landscaped plots. We offer mobile homes with terrace and 2 or 3 bedrooms, comfortable chalets, several atypical accommodations and a large luxury chalet. All our rental properties have exteriors designed to allow you to fully enjoy the fresh air, and 2 to 3 bedrooms to encourage holidays with family or friends. On the side of the unusual, comfort is also a must: all have their own bathroom and private toilets. Discover our charming caravan for 4 people, our Cotton tent made of wood and canvas for 4 to 5 people, or our lodge with its relaxing décor for your holidays for 4 or 6 people! 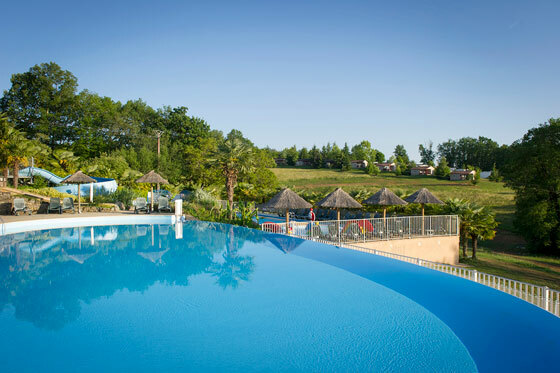 Are you looking for a campsite or a rental with a swimming pool in the Dordogne? La Linotte offers you a high quality aquatic area designed for the pleasures of the whole family. 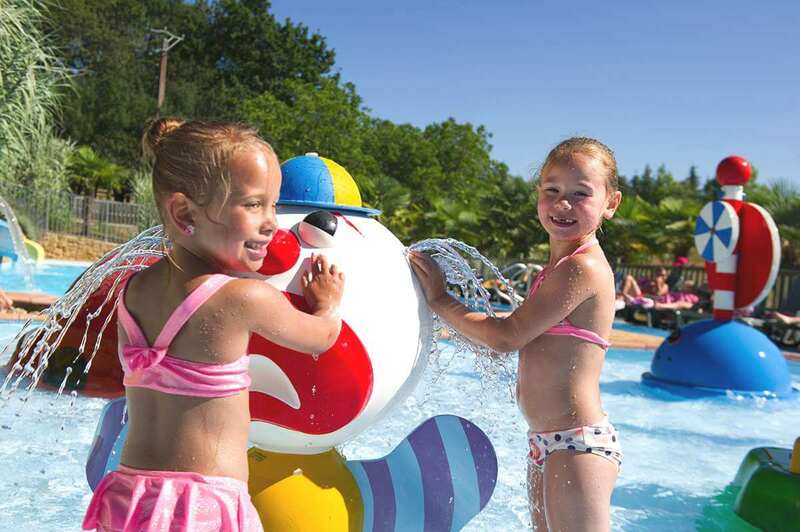 The complex includes several heated pools, including a large overflow pool, a playful paddling pool with water games for children, and an arrival pool for our three giant water slides. A vast beach equipped with comfortable deckchairs also awaits you, ideally oriented for sunbathing. If you wish to relax in the shade, fixed huts and nomadic parasols are also at your disposal. To ensure your total well-being, our aquatic area also includes a jacuzzi. In summer, the large swimming pool is the ideal meeting place for invigorating activities such as aquagym, and for the friendly organization of water polo tournaments or water Olympics. 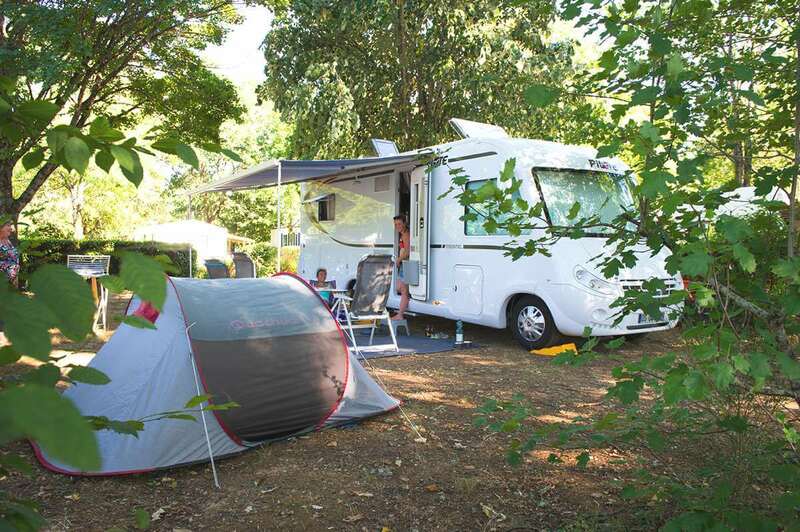 In the heart of the Périgord Noir and at the gateway to the Vallée de l’Homme, camping La Linotte au Bugue sur Vézère is an ideal destination to discover the Dordogne and enjoy its most beautiful assets. Prehistoric enthusiasts will find themselves near Lascaux and the must-see sites of Les Eyzies: the caves of Font-de-Gaume and Combarelles, the Pataud or fish shelters, the Laugerie-Basse and Laugerie-Haute sites, as well as the Musée National de la Préhistoire. The cities of art and history of Sarlat-la-Canéda, Périgueux and Bergerac contain countless architectural treasures. They also have a number of restaurants specialising in the generous cuisine of the South-West: foies gras, truffles, ceps, potatoes à la sarladaise or duck breasts to be enjoyed on the terrace on the banks of the Dordogne or Vézère. Other nearby attractions include castles (Castelnaud, Beynac, Commarque), listed villages (La Roque Gageac, Rocamadour) and troglodyte sites (La Roque Saint-Christophe, La Madeleine). N'attendez pas, Offre limitée !